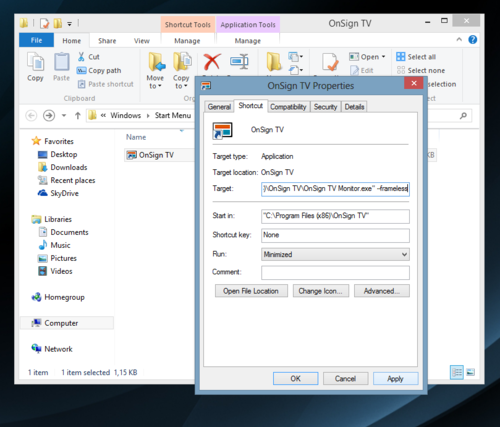 We just released a version 0.8.2 of our OnSign TV Windows Player. This version fixes network traffic statistics and encrypts all outgoing data using TLS 1.2, further enhancing our network security. 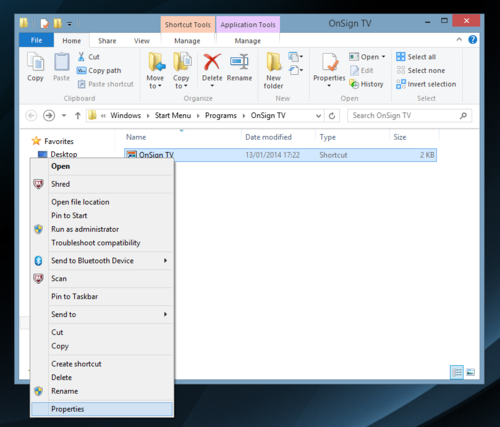 The Windows Player now support several command line switches that allow you to customize how your digital signage from OnSign TV will be displayed. Since version 0.8.1, when you open OnSign TV Windows Player, it will remember the last position and the dimension of the window. It also remembers if it was running on Full screen or windowed mode. This is good for testing and manually adjusting the window state before deploying, but it is also easy to accidentally move the window and mess things up. With this latest version, you can specify window size and position as well as fullscreen or windowed mode, using command line switches. To add one of these switches all you have to do is edit the OnSign TV shortcut by right-clicking it and selecting Properties. With these new command line options, you can precisely position our OnSign TV Windows Player anywhere on your screen. If you are running versions 0.8 or 0.8.1 we strongly encourage you to upgrade to this release. 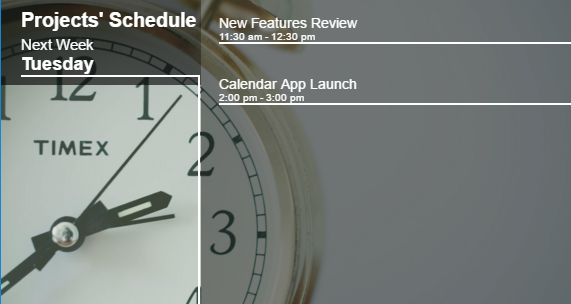 Not only you'll get more features but a much more stable experience. Let's make 2014 a great year for Digital Signage! Previous articleOnSign TV Feature Update! 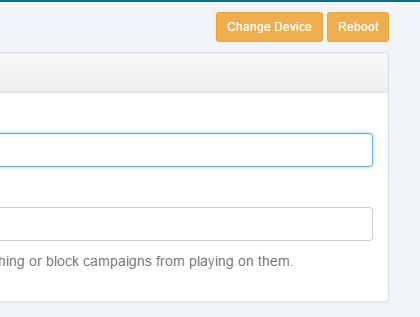 Next articleCampaign Grouping: A Brand New Feature for OnSign TV!